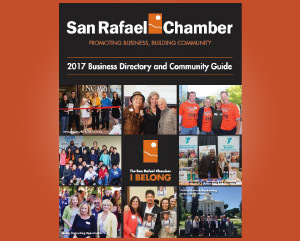 The San Rafael Chamber offers multiple events and programs to help your company make business-to-business connections and gain brand recognition. Advertising on the Chamber website, which has tens of thousands of visitors a year, is a cost-effective way to promote your business to the local community and find new customers. Advertising options include banner ads and upgrading to an enhanced member directory listing. Advertisements placed in Chamber e-newsletters go out to our 1700+ contacts in the Marin business, government, and nonprofit communities. It's an affordable way to reach an influential audience! 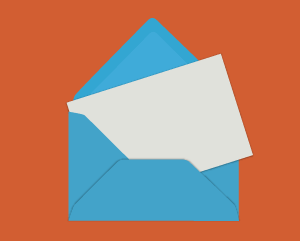 Advertising is available in our E-Brief, E-Vents, and GreenUP! e-newsletters. The Chamber is pleased to announce its continued partnership with MyMapbook, LLC for the official San Rafael Chamber Business Directory. The easy-to-use, organized resource will dramatically showcase your business and our dynamic community. It's a proven way to bring in new business for the coming year. View advertising options and rates for the 2018 Directory. To assist members in marketing their products and services to each other, Chamber members can purchase a set of mailing labels of the full Chamber membership.